With its wide, sturdy base, the Nûby booster seat is durable and safe. The stylish contours will hold your little one comfortably. 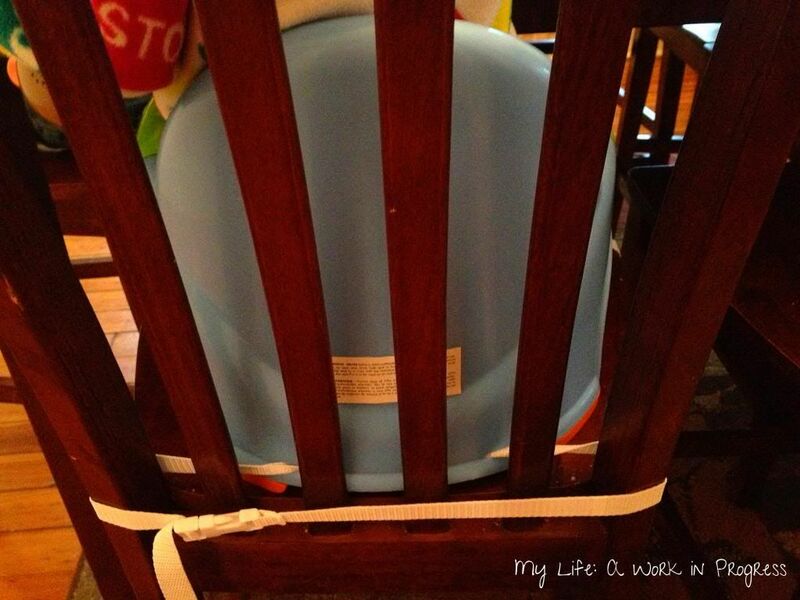 The included safety straps allow the booster seat to be attached to most chairs. The seat also has straps to keep your child in the seat. 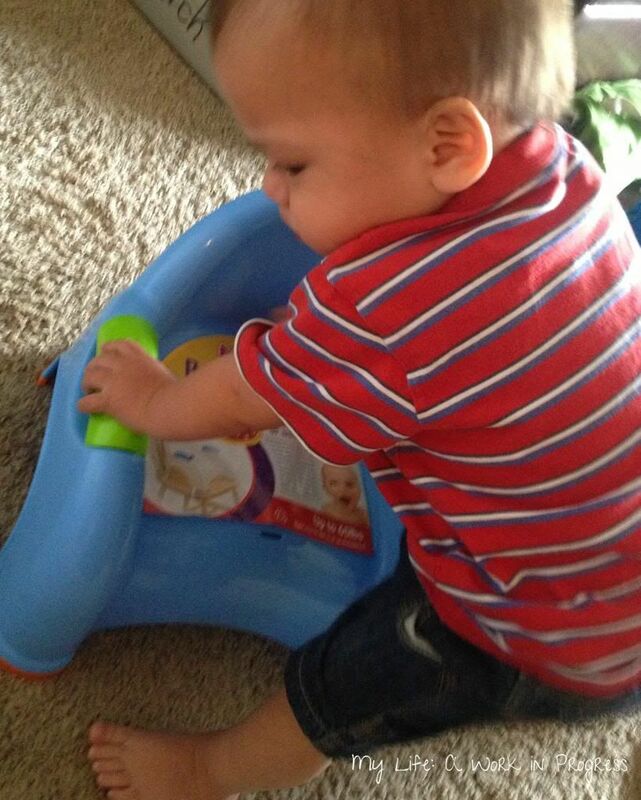 Children must be able to sit up unsupported, and the seat holds up to 65 lbs. The booster seat is available in pink, blue, and green. 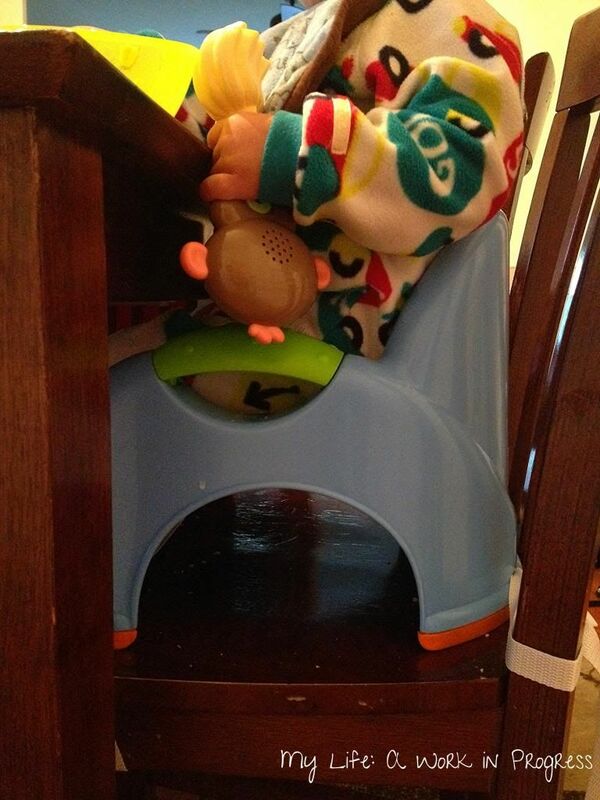 Baby J still uses a high chair at home, so I took this booster seat to my sister in law’s house. The plan was just for Baby J to use it whenever he was visiting, but my two year old nephew has started using it on a daily basis. It’s handy because it’s lightweight and small; my SIL can remove the seat and move it out of the way when they have guests and need more chairs. It also holds my nephew at the right height. The seat is easy to wipe clean too. The only negative about this chair is that the white straps get stained easily. Baby J is still messy when he self feeds, and if he spills anything dark on the straps, there will be stains. Since it’s been at my SIL’s I haven’t tried sunning the straps yet, but that should help with the staining. I’m optimistic! 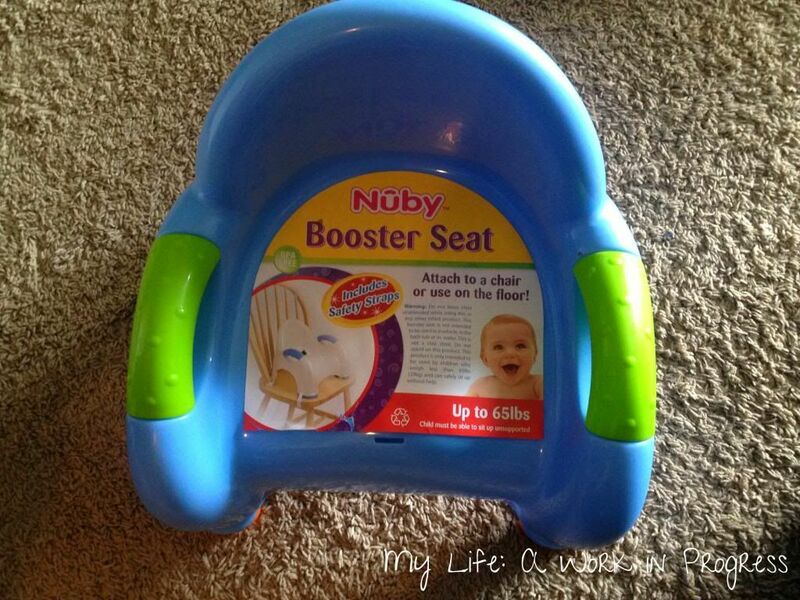 The Nûby booster seat is available at BuyBabyDirect, currently for $19.95. For updates on new Nûby products, follow them on their social media accounts (listed below). Check out the fun contests and giveaways they always have going on! These pics are great! Such a cutie and looks like a good booster seat too! That’s a good looking chair AND it look super easy to clean!! I LOVE this chair, SUPER easy to clean and my child can sit with us at the table! This looks quite sturdy! I like the handles on the sides. Oh I haven’t seen that one yet, I like it though… nice and simple! I love the little one in the chair! Thanks for the post.